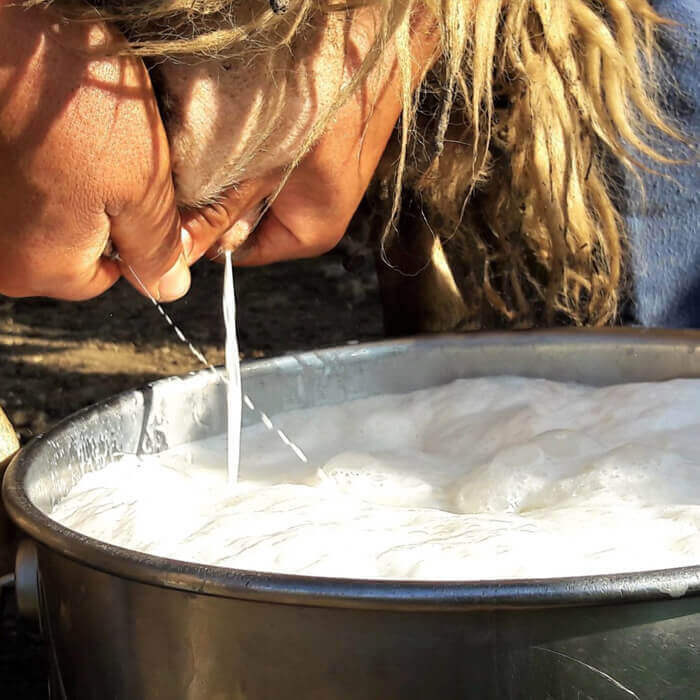 A fascinating look into the daily life of Sardinian sheep farming and cheese-making. Meet a shepherd, learn how Sardinian cheese is made and taste delicious Sardinian sheep cheese. During our cheese experience tour you will visit a local sheep and cheese farm, where you will learn how Pecorino and Ricotta cheese are made. The shepherds running the farm will explain all the secrets about their cheese-making traditions, and you will have a chance to try some of the steps of the cheese-making process, if in cheese production season (March to July). At the end of the tour we will enjoy a session of genuine local cheese tasting and other Sardinian food delicacies, in the total relax of the Sardinian countryside setting. Half day tour to the discovery the fascinating world of Sardinian sheep farming. 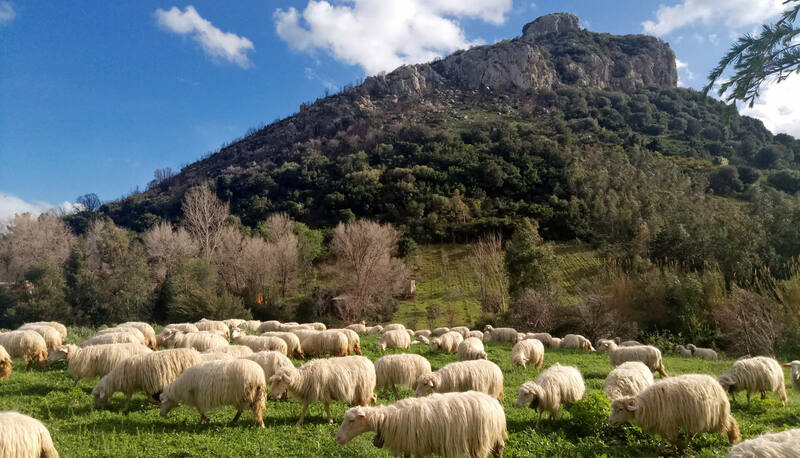 We will start visiting a local farm, where we will get to know the shepherds, as well as the whole work that is behind an high quality traditional Sardinian cheese. We will then walk to the cheese factory laboratory where the milk is transformed into cheese and ricotta. 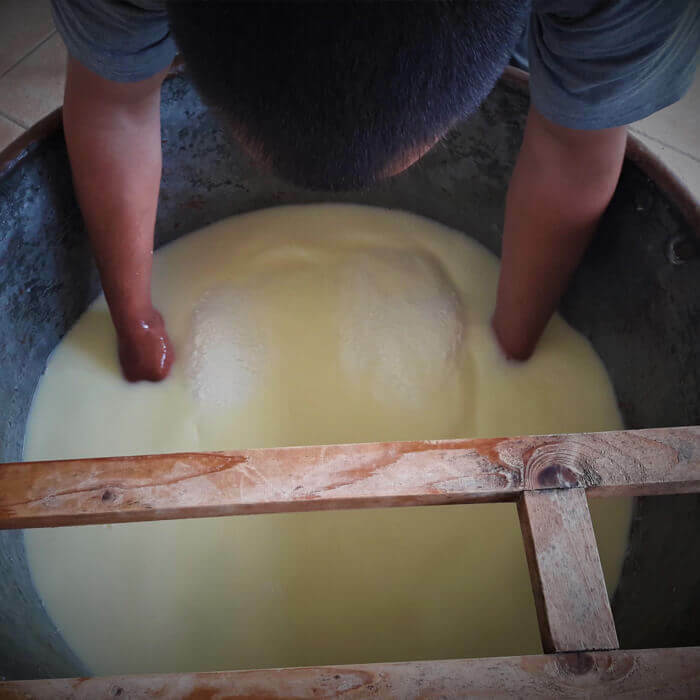 Here you will learn about each single step of the traditional Sardinian cheese-making process, and the peculiar process the shepherds have to go through compared to industrial cheese production, as they use only fresh raw milk in their traditional artisan centuries-old process. The shepherds running the farm will explain all the secrets about their cheese-making tradition, and you will have a chance to try some of the steps of the cheese-making process, if in cheese production season (March to July). 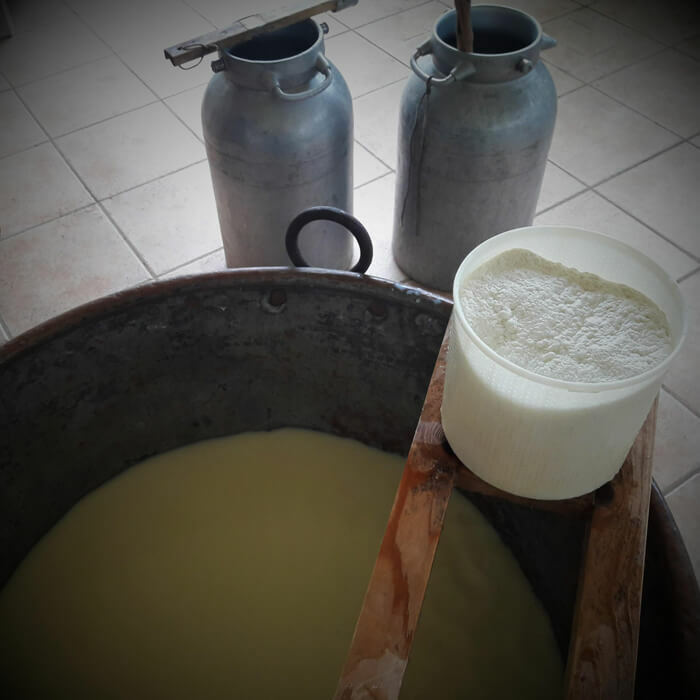 After the visit to the cheese factory, we will seat in the porch for a delicious Pecorino and Ricotta cheese tasting, accompanied by a few good glasses of Sardinian wine, and others yummy typical slow food products. You will also have the chance, if interested, to buy cheese and other local products directly from the producers. The tour that includes a brief cheese-making workshop is available only in cheese-making season from Spring until mid-July. 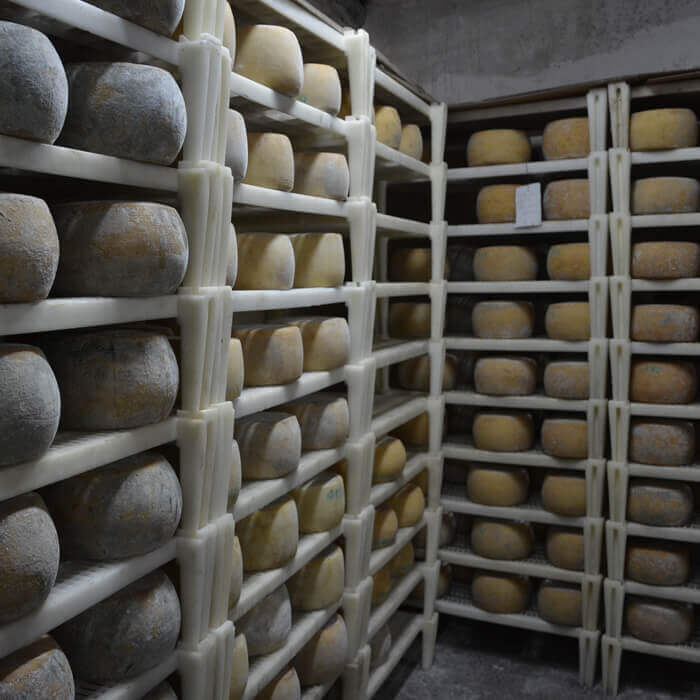 If off season, our Sardinian Cheese Experience slow tour will make you happy anyway, and will make one travel experience that you will cherish for times to come! 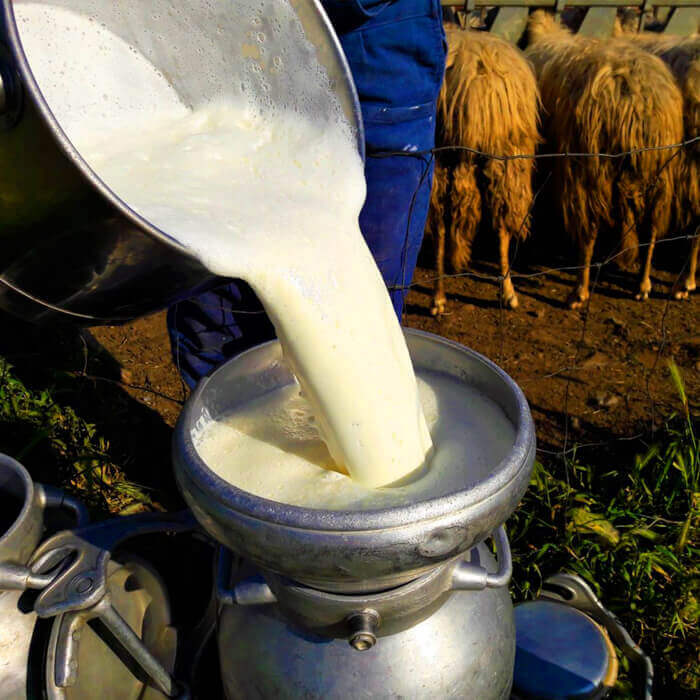 Tour highlights: Visit to a organic local farm, learn how pecorino cheese and ricotta cheese are made, discover the work of the shepherd, the characteristic of sheep, the Sardinian bells, tasting session of local Sardinian cheese and other typical slow food products. Tour duration: 4.5hrs (8.30AM to 1PM). Suggestions for this tour: Wear comfortable shoes and clothes. Bring also one bottle of 1.5 l water per person, and sun protection.